Human behavior creating global warming is metaphysically immoral and veganism is a moral solution. In the previous post we established that not changing our behavior in response global warming is immoral. In line with this, according to a report by two World Bank advisers the animal agriculture industry surprisingly contributes to around fifty-one percent of all global emissions. From this study we can conclude that consuming less meat would dramatically reduce our harmful impact on the planet. But why haven’t we heard of this before? To answer this, the video above shows some of the statistics found in a documentary called Cowspiracy, and it explores why this might not be as well a known cause as the direct burning of fossil fuels. Reasons provided are the reluctance of charities to confront the public about such a large change in behavior, and the power of the animal agriculture industry in stamping out dissent. An evolutionary morality,.. would say [eating meat is] scientifically immoral for everyone because animals are at a higher level of evolution, that is, more Dynamic, than are grains and fruits and vegetables.. It would add, also, that this moral principle holds only where there is an abundance of grains and fruits and vegetables. It would be immoral for Hindus not to eat their cows in a time of famine, since they would then be killing human beings in favor of a lower organism. Thirdly, that’s not to mention the growing list of health benefits that can be found in reducing the amount of meat in your diet and improving the overall biological quality of the people on the planet. 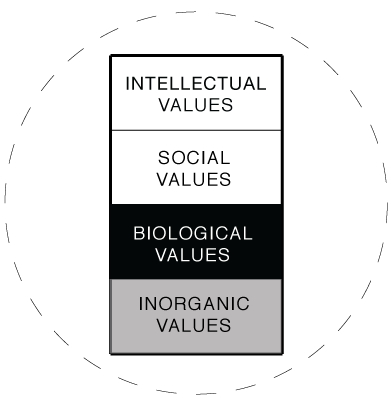 Therefore these three key reasons make veganism moral on many levels and supported by the evolutionary hierarchy of the Metaphysics of Quality. This argument has many opponents however. From those in power who like things the way they are to those co-opted by power with bogus arguments about the validity of the science. That’s because, without the MOQ, climate change opponents and even proponents are easily able to question the validity of truth and scientific fact. They are also easily able to immorally question the content of those facts for their own monetary gain. This is the unique thing about the MOQ. With the MOQ we can reject excuses of cultural relativism or scepticism about the existence of truth. We can call out paid arguments for the non-existence of global warming as the evil that they are. And we can logically say that responding to global warming is moral. This is true not just for some people in some such a place and time, but for all people -everywhere. And that’s very powerful. With Elon Musk having recently said he will be giving away a Billion USD to fund research into AI to ensure risks are minimised – I wonder if there’s not already a free solution to the unique problem presented by AI in the codes of a moral philosophy we know. 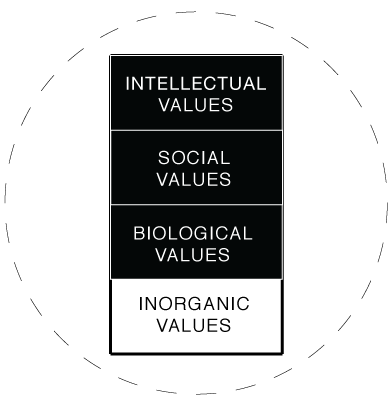 In the Metaphysics Of Quality the Law of the Jungle declares that biological quality should always prevail over inorganic quality. In this case – I propose a simple AI rule. If a machine, controlled by software, is capable of taking a life in its day to day operation – then the machine must be able to detect life and avoid killing or injuring it where possible, unless of course specifically designed to do so (weapons). That’s it. Doing scientific research to solve what is fundamentally a philosophical issue seems a lot like declaring war on an international policy issue [The War on Terror] that is – lots of money spent and bad results. Unless, of course, the research improves the life detecting capabilities of machines to be more affordable. I live in hope.